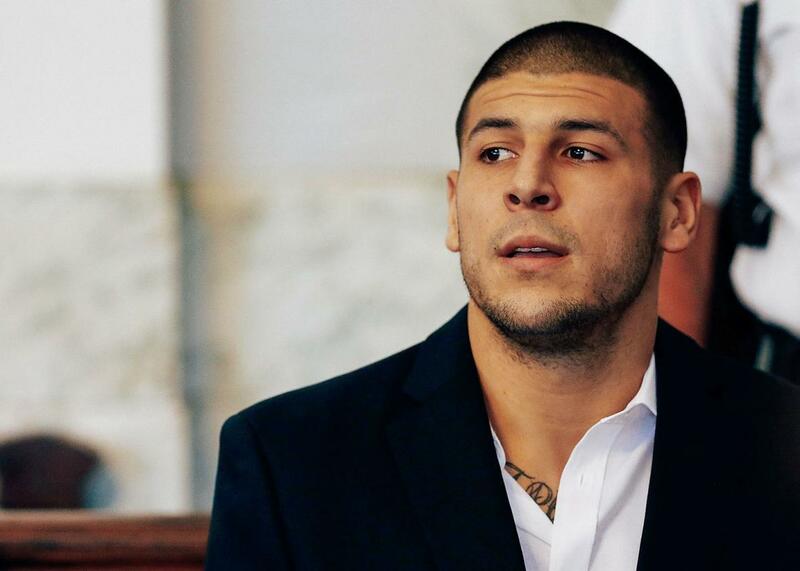 Aaron Hernandez’s suicide is a reminder of how little we know about prisoners’ mental health. We are terrible at assessing suicide risk, in part, because we have very limited means of studying this population. Aaron Hernandez sits in the courtroom of the Attleboro District Court on Aug. 22, 2013, in North Attleboro, Massachusetts. During my residency training, I worked in the hospital responsible for evaluating and treating emergencies in male patients transferred from Rikers Island, New York’s largest jail complex. Shaped like Maui, but far from paradise, Rikers had a population of more than 10,000. It had its own medical staff—not to mention its several grocery stores, chapels, and a car wash. For ongoing medical care and minor issues, a short trip to the on-site infirmary would do. But for anything serious, the men were sent to us at Elmhurst Hospital (the women went to Bellevue) where we treated them just like any other patient. Well, sort of. Handcuffs, jumpsuits, correctional officer entourages, and let’s just acknowledge it, frequently difficult patients (mainly from a psychosocial standpoint), these patients were sometimes a challenge to care for. But my colleagues and I were responsible for their health, and we always took pride in doing our best for them. And then there were the traumas. Most often, it seemed, were the “falls.” Gee, there sure are an awful lot of falls, I remember thinking, perhaps a few too many for a population of largely young and middle-aged men. How many of these were really just falls? How many had actually been the result of assaults by other detainees? (Detainees, I learned, is the correct term for the incarcerated individual awaiting trial.) How many could have resulted from abuse by correctional officers, of which there were widespread reports (though self-defense was probably more common)? And just how many of these falls had been self-imposed injuries? Truthful answers are hard to come by—from the patients and from the literature. We know so little about this type of medicine. But it does have a name: correctional health. The main reason we know so little about correctional health in the United States is because prisoners are considered a “vulnerable population,” and they are therefore afforded special protections. This is the legacy of our nation’s ignoble past of experimenting on prison populations, and the effect is both necessary and problematic. The necessary part is that it protects the imprisoned and jailed from coerced participation in inhumane research. The problem, however, is that these protections have also, perhaps inadvertently, created a veritable desert of information on correctional health issues. Even the most benign research reviewing only medical charts requires far more paperwork than research on another population might. Most academics are deterred by daunting amounts of red tape. “The United States incarcerates more people per capita than any other country in the world, but the most cutting-edge research in correctional health care is happening in Europe,” says Dr. Daniel Winetsky, site medical director at East Jersey State Prison with Rutgers University Correctional Health Care. Research tends to shine light on problems, leading to the committing of greater resources toward addressing a particular problem. But given the current state of research in this country, prisons and jails remain predictably dark places. One thing we do know is that death by suicide, like former NFL star and convicted murderer Aaron Hernandez’s, is common. In state and federal prisons, 5.5 percent of deaths result from suicide. This is far more than any other cause of violence carried out by other detainees or even correctional officers, and it’s far higher than the number of deaths that result from suicide in the general population (1.6 percent). It is no exaggeration to say that when a person becomes incarcerated, what the inmate should fear the most is not a skirmish with the leader of some terrifying gang, but what might happen to his own mind. Can we accurately assess suicide risk in jails and prisons? If so, could we do more to prevent them? It seems at least possible. In a welcome change, some new research has begun to yield helpful data. For example, research by Fatos Kaba, Homer Venters, and their colleagues at the New York City Department of Health and Mental Hygiene discovered several features that were correlated with increased risk of self-harm by inmates. Among the strongest predictors of self-harm were solitary confinement, serious mental illness, youth (age 18 or younger), and being of Latino or Caucasian race. That doesn’t necessarily mean these all such inmates will cause self-harm (nor that others will not), but if we know who is at highest risk we can better target interventions. One promising change: Solitary confinement is now banned in the youth population in New York. Another aspect of the problem is how hard it is to predict who will induce mild self-harm, versus serious self-harm, versus actual attempted suicide. While any level of self-harm means there’s likely some underlying psychological issue, when it comes to assessing suicidality, there’s a way to assess risk based on the individual’s intent. But determining this often takes substantial devoted time with specially trained psychiatrists. Unpublished research reviewing the medical charts of Rikers inmates treated at my former hospital indicated that almost all attempted hangings were not serious attempts on their lives—the person likely knew he would not be seriously hurt given the flimsiness of the materials used or some other indicator—but they’re cause for serious concern nonetheless and could eventually escalate to more serious attempts. But the research team assessing this had no way to know how many hangings had occurred with inmates who had not meant to kill themselves but didn’t survive serious resulting injuries long enough to reach the emergency department. Once again, the red tape prevented researchers from learning invaluable information. Inmates do receive aggressive health screenings upon arrival to jail or prison, but such detection mechanisms are often not sensitive enough. Often, problems worsen later in detention and, as it stands, most facilities simply do not have the human resources to closely monitor the mental health of such a high number of at-risk detainees. Some are placed on “suicide watches.” But sometimes the people most motivated to hurt themselves seriously give little to no warning so as not to raise suspicion. Hernandez seems to have followed that pattern. And research about the topic in general is sorely lacking: A search for “suicide” and “prisons” in the PubMed academic research database garners just 441 hits from the 1960s to the present. By contrast, “suicide” and “teens” finds 18,966 papers. Much needed research on other medical issues common in correctional facilities is starting to command attention in academic circles—and in jails and prisons themselves. There’s good work on infectious diseases like hepatitis C and HIV/AIDS in United States prisons by Anne Spaulding at Emory University, and substance abuse treatment programs by Frederick Altice at Yale University, though again, many of these studies have been conducted overseas. Research, and the well-known lack of mental health care funding in jails and prisons, is not the only problem. Another, perhaps unexpected difficulty seems to stem from the hierarchical structure of jail and prison operations. Prison-based physicians I spoke to expressed concern that health care providers in the jail and prison system are frequently impaired by a type of dual loyalty: On one hand. the correctional physicians often see themselves as human rights workers. On the other, they usually function as a part of the “security apparatus” ultimately reporting to and working for wardens. Some jails and prisons are trying to address this by moving to models where the health system functions independently from security and corrections structures. While not a perfect solution (especially because of issues arising from having to function separately but cooperatively and collaboratively with the security operations), this model is preferred by many activists working within the system. The deepest root of the problem though, argues Winetsky, is that our treatment of inmates reflects who we are as a nation: “We are willing to invest in the construction of facilities to separate ourselves from people—often the most vulnerable members of society—with criminal justice involvement, but are not willing to invest in helping to rebuild their lives to prevent them from reoffending.” It is no wonder that prisoners’ mental health isn’t at the top of the list. Back when I was frequently treating Rikers patients, I was often asked by my friends and family if I was ever scared of the inmates. Mostly not, I told them truthfully. I often found the detainees seemed more scared than I was. I recall patients like a deeply shaken young Latino man I treated one evening. He said he was afraid for his safety and that other inmates had already brutalized him, leading to that hospital visit for the mild head injury he had endured. He begged me not to send him back to the jail, saying he was afraid that the gangs would hurt him again. He asked me if I could please get him transferred to another building at least. I told him that I was his doctor, not his warden, and the most I could do was include his concerns in my discharge summary, which would be read by the staff at the jail. I now realize that he almost perfectly fit the profile of an inmate at risk of hurting himself. I don’t know what happened to him, but I wish I had been more able to help. Medically speaking, it may have been life-saving.